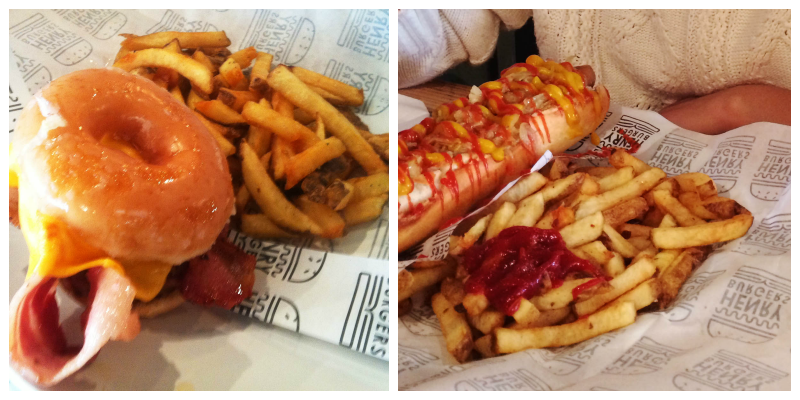 Prepare to drool, the ultimate burger restaurant has been tucked away in Southend without you knowing! Off of the high street opposite Boots in The Royals shopping centre is Market Place, which houses Henry Burgers at the end. If you’ve ever been to the Sunrooms you will know Henry Burgers. As you approach the restaurant, Henry Burgers’ logo greets you at every window and disguises the diners inside. Being small, the tables have always been full whenever I’ve been and eating at the bar is an option. However it might not be the best option, as their variety of imported beers tempt you from over the bar, and believe me they are good. The Kona Brewing Co. beers such as Blue Wave and Long Board are pale ales and go down too easily. The wide selection of Floris beers include honey, mango, banana, strawberry and coconut. Now on to the meat. Free range, grass fed, 28 day dry aged meat hailing from Lancashire, the burgers are perfect for a big lunch. The menu has everything from cheese burgers, to chilli dogs, BBQ pulled chicken, falafel burgers and foot long hot dogs. Heaps of rosemary fries accompany the food, but other side offerings include chilli cheese fries, sweet potato fries, chilli con carne, fried pickles and mac and cheese. Having had fried pickles from a burger restaurant before, they were the first thing I sampled when dining here when Henry Burgers first opened, a few months ago. The pickles are fried in batter and served with a blue cheese dip; as good as they are, I have had better. If you have yet to experience fried pickles, you are certainly missing out! 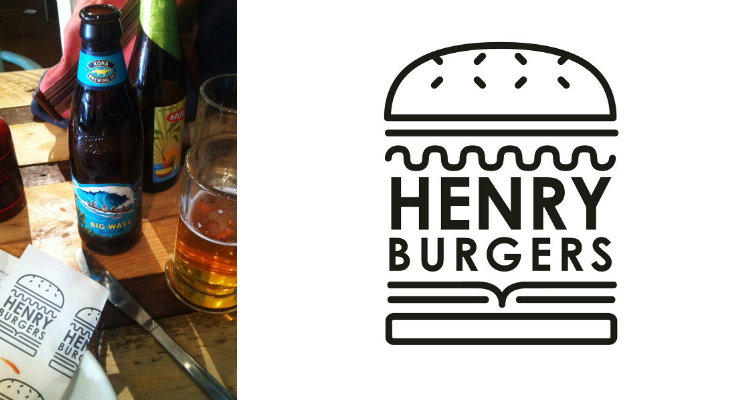 Fans of Henry Burgers rejoice, as a second restaurant will be opening in Leigh-On-Sea in June. The burger is taking over the sea side. Studied Digital Film & Screen Arts at the University of the Creative Arts, passionate about video art, experimental and fashion film.